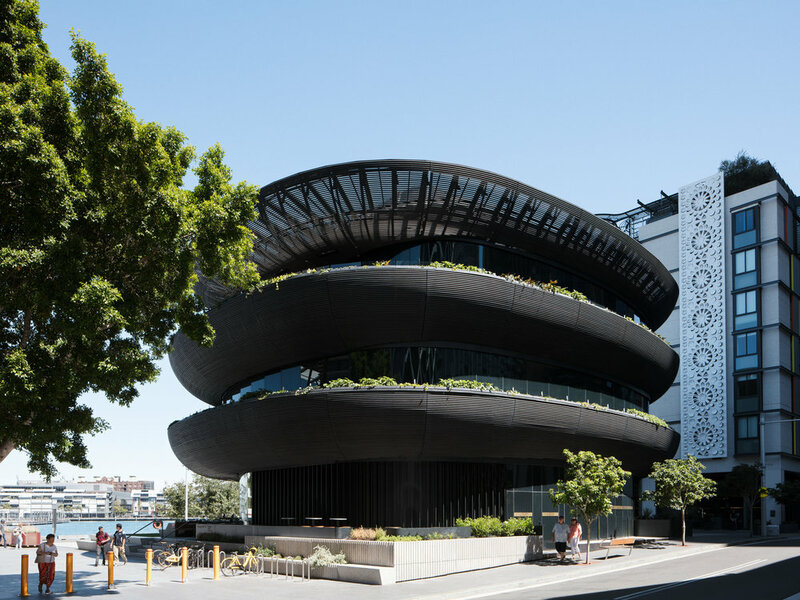 Three giant bowls stacked unevenly one upon the other, herbs and vegetables spilling over the sides, form the multi-level dining hub that is Barangaroo House. It sits at the southernmost point of the $8.5 billion Barangaroo waterfront precinct in Sydney. Influential chef and restaurateur Matt Moran’s opened three venues inside - each with a distinct taste and feel catering to different dining experiences. And while they’ve prompted many glowing reviews the greenery clad exterior of the building and public realm is creating its own buzz. Barangaroo house in Sydney - photography by Rory Gardiner. 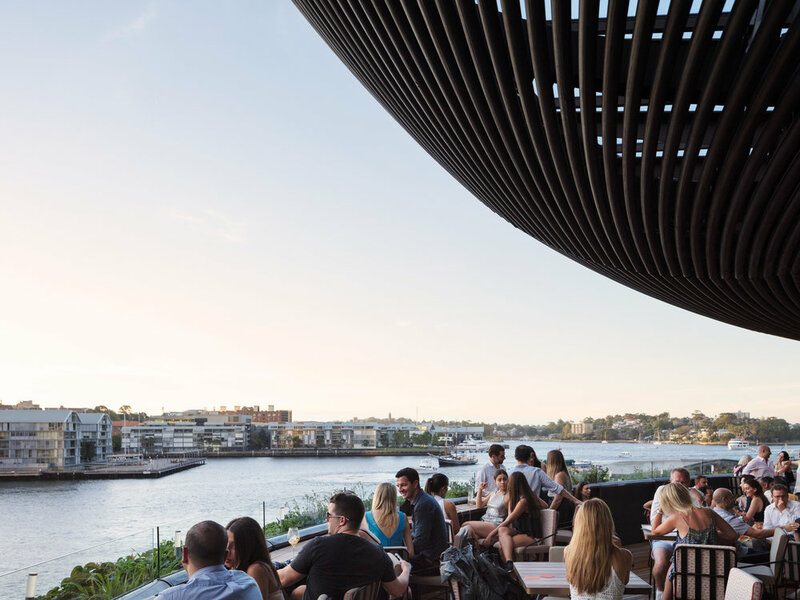 Coles is a director of Aspect Studios, which established a joint venture company with another landscape architecture firm, Oculus, to lead the public realm design of the streets, squares and waterfront edges of Barangaroo South. Based on that design they were then invited to “work up” Barangaroo House. 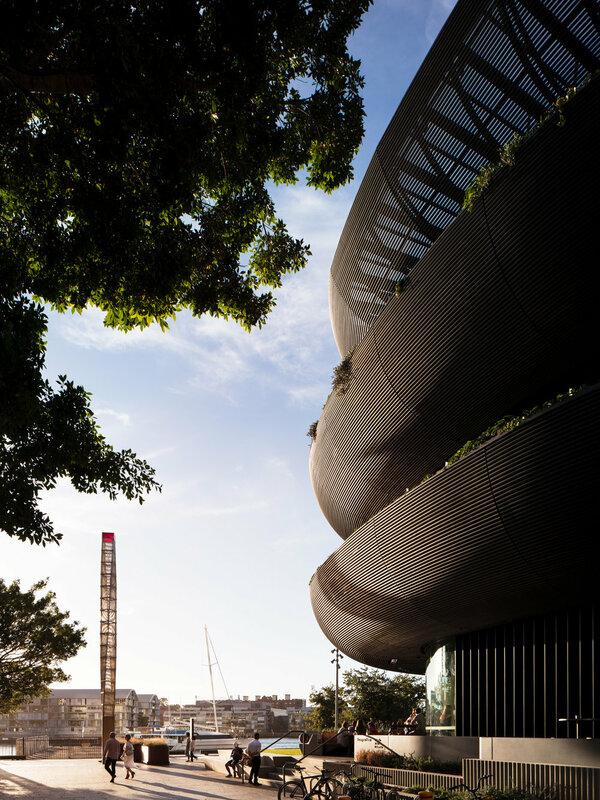 Barangaroo house sits in the Barangaroo Waterfront Precinct in Sydney - Photography by Rory Gardiner. Coles says most emphasis was on the outside ground plan, making sure the building nestled easily into its setting surroundings. “We used the landscape elements to differentiate between licensed areas and public realm. There’s a bench, about 15 metres long and within that there are planting elements forming the boundary. There’s no need for fences.” People can relax on the grass in the shade of the waterfront trees, eating their takeaways and watch the world going by.